Richard Karl Freiherr von Weizsäcker (German: [ˈʁɪçaʁt fɔn ˈvaɪt͡szɛkɐ] ( listen ); 15 April 1920 – 31 January 2015) was a German politician (CDU), who served as President of Germany from 1984 to 1994 (of West Germany 1984–1990 and of the reunited Germany 1990–1994). Born into the aristocratic Weizsäcker family, he took his first public offices in the Evangelical Church in Germany. Freiherr, Freifrau and Freiin are designations used as titles of nobility in the German-speaking areas of the Holy Roman Empire, and in its various successor states, including Austria, Prussia, Bavaria, Liechtenstein, Luxembourg, etc. Traditionally it denotes the titled rank within the nobility above Ritter (knight) and Edler and below Graf and Herzog (duke). The title superseded the earlier medieval form, Edelherr. The (von) Weizsäcker family, which hails from the former Kingdom of Württemberg, has been prominent and influential over the span of several generations. Its members include a Prime Minister of the Kingdom of Württemberg, a President of Germany, a leading diplomat, a prominent environmental scientist and the physicist after whom the Bethe–Weizsäcker formula was named. A member of the CDU since 1954, he was elected as member of parliament in 1969. He continued to hold a mandate as member of the Bundestag until he became Governing Mayor of West Berlin, following the 1981 state elections. 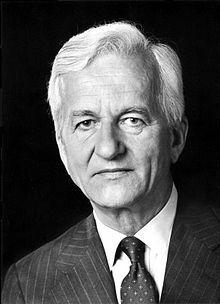 In 1984, Richard von Weizsäcker was elected as President of the Federal Republic of Germany and in 1989 he was re-elected for a second term. As yet, he is, together with Theodor Heuss, one of only two Presidents of the Federal Republic of Germany, who have served two complete five-year-terms. During his second term as President on 3 October 1990, the reorganized five states of the former German Democratic Republic and East Berlin joined the Federal Republic of Germany ( German reunification ), which made von Weizsäcker the first democratically legitimized head of state of Germany as a whole since Reich President Paul von Hindenburg had died in office on 2 August 1934. The Bundestag is the German federal parliament. It can be compared to the lower house of parliament along the lines of the United States House of Representatives, the Irish Dáil Éireann or the House of Commons of the United Kingdom, with the Bundesrat, though a separate institution, having a similar role to the upper house of a bicameral parliament. The Governing Mayor of Berlin is the head of government, presiding over the Berlin Senate. As Berlin is an independent city as well as one of the constituent States of Germany (Bundesländer), the office is the equivalent of the Ministers President of the other German states, except the states of Hamburg and Bremen, where the heads of government are called "First Mayor" and "President of the Senate and Mayor", respectively. The title Governing Mayor of Berlin is the equivalent of Lord Mayor in the meaning of an actual executive leader. West Berlin was a political enclave which comprised the western part of Berlin during the years of the Cold War. There was no specific date on which the sectors of Berlin occupied by the Western Allies became "West Berlin", but 1949 is widely accepted as the year in which the name was adopted. West Berlin aligned itself politically with the Federal Republic of Germany and was directly or indirectly represented in its federal institutions. Helmut Josef Michael Kohl was a German statesman who served as Chancellor of Germany from 1982 to 1998 and as the chairman of the Christian Democratic Union (CDU) from 1973 to 1998. From 1969 to 1976, Kohl was minister president of the state Rhineland-Palatinate. 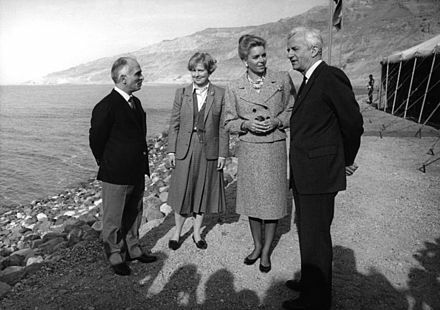 Kohl chaired the Group of Seven in 1985 and 1992. In 1998 he became honorary chairman of the CDU, resigning from the position in 2000. The New Palace is an 18th-century Baroque palace and is one of the last large city palaces built in Southern Germany. The palace is located in the center of Stuttgart on the Schlossplatz in front of the Jubiläumssäule column and Konigsbau. Public tours of the building are only permitted by special arrangement, as the building contains some government offices. Once a historic residence of the Kings of Württemberg, the New Palace derives its name from its commissioning by Duke Carl Eugen of Württemberg to replace the Old Castle in the early years of his reign. Originally, Charles commissioned Nikolaus Friedrich Thouret, but architects Leopold Retti, Philippe da la Guepière, Reinhard Heinrich Ferdinand Fischer would contribute to the design, history, and construction of the palace. Ernst Heinrich Freiherr von Weizsäcker was a German naval officer, diplomat and politician. He served as State Secretary at the Foreign Office of Nazi Germany from 1938 to 1943, and as its Ambassador to the Holy See from 1943 to 1945. He was a member of the prominent Weizsäcker family, and the father of German President Richard von Weizsäcker and physicist and philosopher Carl Friedrich von Weizsäcker. 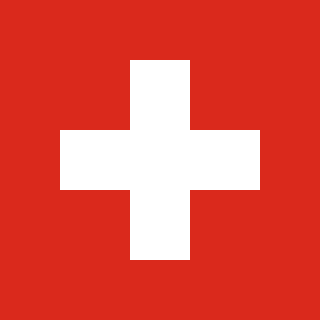 Switzerland, officially the Swiss Confederation, is a country situated in western, central and southern Europe. It consists of 26 cantons, and the city of Bern is the seat of the federal authorities. The sovereign state is a federal republic bordered by Italy to the south, France to the west, Germany to the north, and Austria and Liechtenstein to the east. Switzerland is a landlocked country geographically divided between the Alps, the Swiss Plateau and the Jura, spanning a total area of 41,285 km2 (15,940 sq mi). While the Alps occupy the greater part of the territory, the Swiss population of approximately 8.5 million people is concentrated mostly on the plateau, where the largest cities are to be found: among them are the two global cities and economic centres Zürich and Geneva. Scandinavia is a region in Northern Europe, with strong historical, cultural, and linguistic ties. The term Scandinavia in local usage covers the three kingdoms of Denmark, Norway, and Sweden. The majority national languages of these three, belong to the Scandinavian dialect continuum, and are mutually intelligible North Germanic languages. In English usage, Scandinavia also sometimes refers to the Scandinavian Peninsula, or to the broader region including Finland and Iceland, which is always known locally as the Nordic countries. Basel is a city in northwestern Switzerland on the river Rhine. Basel is Switzerland's third-most-populous city with about 180,000 inhabitants. Infantry Regiment 9 of Potsdam was an infantry regiment in Weimar Republic's Reichswehr and Nazi Germany's Wehrmacht, descended from famed 1st Prussian Regiment of Foot Guards in the German Empire's Deutsches Reichsheer. Garrisoned at the cradle of Prussian army and rich with tradition, it was nicknamed 'Count Nine' or 'I.R. von 9' by its detractors because of high percentage of Prussian aristocrats and purported arrogance in its ranks. In free self-determination we want to complete Germany's unity and freedom; for our task, we are aware of our responsibility before God and the people; in a united Europe, we want to serve the peace of the world. As an elder statesman, Weizsäcker long remained involved in politics and charitable affairs in Germany after his retirement as president. He chaired a commission established by the Social Democratic-Green government of the day for reforming the Bundeswehr. Along with Henry Kissinger, in 1994 he supported Richard Holbrooke in creating the American Academy in Berlin . He was also a member of the Board of Trustees of the Robert Bosch Stiftung. Weizsäcker on his years as Governing Mayor of West Berlin and his views on citizenship. Hans-Dietrich Genscher was a German statesman and a member of the liberal Free Democratic Party (FDP), who served as the Federal Minister of the Interior from 1969 to 1974, and as the Federal Minister of Foreign Affairs and Vice Chancellor of Germany from 1974 to 1992, making him the longest-serving occupant of either post and the only person, holding one of these posts under two different Chancellors of the Federal Republic of Germany. In 1991 he was chairman of the Organization for Security and Co-operation in Europe (OSCE). Helmut Heinrich Waldemar Schmidt was a German politician and member of the Social Democratic Party of Germany (SPD), who served as Chancellor of the Federal Republic of Germany from 1974 to 1982. Ludwig Wilhelm Erhard was a German politician affiliated with the CDU and the second Chancellor of the Federal Republic of Germany from 1963 until 1966. He is often famed for leading German postwar economic reforms and economic recovery in his role as Minister of Economic Affairs under Chancellor Konrad Adenauer from 1949 to 1963. During that period he promoted the concept of the social market economy, on which Germany's economic policy in the 21st century continues to be based. In his tenure as chancellor, however, Erhard failed to win confidence in his handling of a budget deficit and his direction of foreign policy, and his popularity waned. He resigned his chancellorship on 1 December 1966. Franz Josef Strauss was a German politician. He was the long-time chairman of the Christian Social Union in Bavaria (CSU) from 1961 until 1988, member of the federal cabinet in different positions between 1953 and 1969 and minister-president of the state of Bavaria from 1978 until 1988. Strauss is also credited as a co-founder of European aerospace conglomerate Airbus. Heiner Geißler was a German politician with the Christian Democratic Union (CDU) party and a federal minister from 1982 to 1985. Roman Herzog was a German politician, judge and legal scholar, who served as President of Germany from 1994 to 1999. A member of the Christian Democratic Union (CDU), he was the first president to be elected after the reunification of Germany. He previously served as a judge of the Federal Constitutional Court, and he was the President of the court 1987–1994. Before his appointment as a judge he was a professor of law. He received the 1997 Charlemagne Prize. The CDU donations scandal was a political scandal resulting from the illegal forms of party financing used by the German Christian Democratic Union (CDU) during the 1990s. These included accepting hidden donations, the non-disclosure of cash donations, the maintenance of secret bank accounts, and illegal wire transfers to and from foreign banks. Christian Wilhelm Walter Wulff is a German politician and lawyer. He served as President of Germany from 2010 to 2012. A member of the Christian Democratic Union, he served as Prime Minister of the state of Lower Saxony from 2003 to 2010. He was elected President in the 30 June 2010 presidential election, defeating opposition candidate Joachim Gauck and taking office immediately, although he was not sworn in until 2 July. Oskar Lafontaine is a German politician who served in the government of Germany as Minister of Finance from 1998 to 1999. Previously he was Minister President of the state of Saarland from 1985 to 1998, and he was also Chairman of the Social Democratic Party from 1995 to 1999. After having won the German federal election, 1998 along with new Chancellor Gerhard Schröder, he resigned from all political offices, including his seat in the German Bundestag, only a half year later and positioned himself as a popular opponent of Schröder's policies in the tabloid press. Wolfgang Schäuble is a German lawyer and politician of the Christian Democratic Union (CDU) party whose political career has spanned more than four decades. He is one of the most experienced and longest serving politicians in German history and since 2017 has been the President of the Bundestag. Rainer Candidus Barzel was a German politician of the CDU. He served as the 8th President of the Bundestag from 1983 to 1984. Friedrich Merz is a German lawyer and politician of the centre-right Christian Democratic Union of Germany (CDU). He served as a Member of the European Parliament 1989–1994, a member of the Bundestag 1994–2009, and as the chairman of CDU/CSU parliamentary group 2000–2002. In 2018 he announced his candidacy in the CDU leadership election in December 2018. The Flick Affair was a West German political scandal of the early 1980s relating to donations by the Flick company, a major German conglomerate, to various political parties, according to Flick manager Eberhard von Brauchitsch, "for the cultivation of the political landscape". Otto Graf Lambsdorff, the federal minister for economic affairs, was forced to resign in 1984 after being accused of accepting bribes from CEO Friedrich Karl Flick. The history of Germany since 1990 spans the period following the Reunification of Germany, when West Germany and East Germany were reunited after being divided during the Cold War. 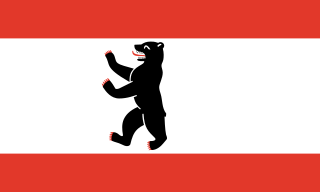 Germany after 1990 is referred to by historians as the Berlin Republic. This time period is also determined by the ongoing process of the "inner reunification" of the formerly divided country. Hanna-Renate Laurien was a German politician of the Christian Democratic Union (CDU). Nikolaus Meyer-Landrut is a German diplomat, currently serving as German Ambassador to France. He was previously chief adviser for European affairs to the German Chancellor, Angela Merkel. Walther Gottlieb Louis Leisler Kiep was a German politician of the Christian Democratic Union (CDU). He was a member of the Bundestag between 1965 and 1976 and again from 1980 to 1982. After switching to state-level politics, he served as minister of economy (1976–77) and minister of finance (1976–80) in Lower Saxony under Ernst Albrecht. In 1982, Kiep was the leading candidate for the CDU in two successive state elections in Hamburg, losing both to incumbent Klaus von Dohnányi. From 1971 until 1992, he was treasurer of his party at the federal level. In this position, Kiep installed a system of unreported income accounts, leading to the CDU donations scandal in 1999. ↑ Augstein, Franziska (15 April 2010). "Erster Bürger seines Staates" (in German). Süddeutsche Zeitung. Retrieved 20 April 2015. ↑ "Gauck würdigt "großen Deutschen"" (in German). Deutschlandfunk. 11 February 2015. Retrieved 20 April 2015. ↑ Schäuble, Wolfgang (11 February 2015). "Er ist immer unser Präsident geblieben" (in German). Frankfurter Allgemeine Zeitung. Retrieved 20 April 2015. 1 2 3 Saxon, Wolfgang (31 January 2015). "Richard von Weizsäcker, 94, Germany's First President After Reunification, Is Dead". The New York Times. Retrieved 1 February 2015. 1 2 "Richard von Weizsäcker (1984–1994)". bundespraesident.de. Bundespräsidialamt. Retrieved 1 February 2015. ↑ Hofmann 2010, p. 23. ↑ Hofmann 2010, p. 19. ↑ Weizsäcker 1997, pp. 38–43. ↑ "Konrad Raiser – Former WCC General Secretary (from 1993–2003)". WCC Press Corner – Biographies. World Council of Churches. January 2004. Retrieved 13 April 2015. ↑ Rudolph 2010, p. 24. ↑ Rudolph 2010, p. 25. ↑ Weizsäcker 1997, pp. 49–51. ↑ Weizsäcker 1997, p. 71. ↑ Hofmann 2010, p. 30. ↑ Weizsäcker 1997, pp. 72–73. ↑ Rudolph 2010, p. 39. ↑ Rudolph 2010, p. 40. ↑ Weizsäcker 1997, p. 90. ↑ Weizsäcker 1997, p. 91. ↑ Weizsäcker 1997, p. 95. ↑ Rudolph 2010, p. 54. ↑ Weizsäcker 1997, pp. 98–102. ↑ Rudolph 2010, p. 61. ↑ Hofmann 2010, p. 88. ↑ "Richard von Weizsäcker: Seine Familie war bis zuletzt bei ihm" (in German). B.Z. Berlin. 1 February 2015. Retrieved 6 October 2015. ↑ "Marianne von Weizsäcker" (in German). Bundespräsidialamt. Retrieved 6 October 2015. ↑ "Lehrstuhl für Volkswirtschaftslehre – Finanzwissenschaft und Industrieökonomik" (in German). Technische Universität München. Retrieved 6 October 2015. 1 2 "Richard von Weizsäcker trauert um seinen Sohn" (in German). Die Welt. 15 June 2008. Retrieved 6 October 2015. ↑ Kaiser, Carl-Christian (29 January 1993). "Unter Brüdern" (in German). Die Zeit. Retrieved 6 October 2015. ↑ "Chefarzt: Prof. Dr. med. Fritz von Weizsäcker". schlosspark-klinik.de (in German). Retrieved 6 October 2015. ↑ "Richard von Weizsäcker: Ein Zeuge des 20. Jahrhunderts" (in German). Bayrischer Rundfunk. 31 January 2015. Archived from the original on 6 October 2015. Retrieved 6 October 2015. ↑ "Odenwaldschule: Familie Weizsäcker bricht Schweigen" (in German). Spiegel Online. 27 March 2010. Retrieved 6 October 2015. ↑ Rudolph 2010, p. 83. ↑ Rudolph 2010, p. 91. ↑ Rudolph 2010, p. 98. ↑ Weizsäcker 1997, pp. 179–185. ↑ Rudolph 2010, p. 116. ↑ Rudolph 2010, p. 119. 1 2 3 James M. Markham (24 May 1984), A Patrician President in Bonn; Richard von Weizsacker New York Times . 1 2 James M. Markham (23 June 1994), Facing Up To Germany’s Past The New York Times Magazine . ↑ Thomas, Sven (2005). Die informelle Koalition. Richard von Weizsäcker und die Berliner CDU-Regierung (1981–1983). Wiesbaden: Deutscher Universitäts-Verlag. ISBN 3-8244-4614-6. ↑ "Die Bundesversammlungen 1949 bis 2010" (PDF) (in German). Deutscher Bundestag. Archived from the original (PDF) on 4 March 2016. Retrieved 8 September 2015. ↑ Richard von Weizsäcker. Reden und Interviews (vol. 1), 1. Juli 1984 – 30. Juni 1985. Bonn: Presse- und Informationsamt der Bundesregierung. 1986. p. 16. ↑ Weizsäcker 1997, pp. 308–316. ↑ Andresen, Dirk J. (31 January 2015). "Richard von Weizsäcker: Der Präsident, den die Deutschen liebten" (in German). Berliner Kurier. Retrieved 11 May 2015. 1 2 3 Speech in the Bundestag on 8 May 1985 during the Ceremony Commemorating the 40th Anniversary of the End of War in Europe and of National-Socialist Tyranny Archived 1 February 2014 at the Wayback Machine , Landesmedienzentrum Baden-Württemberg, retrieved on 31 January 2014 (PDF, 123 KB). ↑ Saxon, Wolfgang (31 January 2015). "Richard von Weizsäcker, 94, Germany's First President After Reunification, Is Dead". nytimes.com. New York Times. Retrieved 1 February 2015. 1 2 Gill 1986, p. 7. 1 2 Weizsäcker 1997, p. 317. ↑ Weinraub, Bernard (6 May 1985). "Reagan Joins Kohl in Brief Memorial at Bitburg Graves". The New York Times. Retrieved 11 May 2015. 1 2 3 4 James M. Markham (9 May 1985), 'All of Us Must Accept the Past,' The German President Tells M.P. 's New York Times . ↑ "Denkmal für die im Nationalsozialismus verfolgten Homosexuellen". gedenkort.de. Memorial site for the persecuted homosexual victims of National Socialism. Archived from the original on 24 September 2015. Retrieved 1 February 2015. ↑ Gill 1986, p. 27. 1 2 Gill 1986, p. 8. ↑ Gill 1986, p. 13. ↑ Gill 1986, p. 37. 1 2 Leinemann, Jürgen (13 May 1985). "Möglichkeiten, das Gewissen abzulenken". Der Spiegel. Retrieved 11 May 2015. ↑ Gill 1986, p. 137-138. ↑ Gill 1986, p. 91. ↑ Gill 1986, p. 94. ↑ Richard von Weizsäcker. Reden und Interviews (vol. 5), 1. Juli 1988 – 30. Juni 1989. Bonn: Presse- und Informationsamt der Bundesregierung. 1989. pp. 69–79. 1 2 3 Serge Schmemann (22 October 1988), Bonn Journal; Facing the Mirror of German History New York Times . ↑ Studemann, Frederick. "Richard von Weizsäcker, German president 1920–2015". ft.com. Financial Times. Retrieved 1 February 2015. ↑ "Die Bundesversammlungen 1949 bis 2010" (PDF) (in German). Deutscher Bundestag. Archived from the original (PDF) on 4 March 2016. Retrieved 6 October 2015. ↑ Rudolph 2010, p. 245. ↑ "Ansprache von Bundespräsident Richard von Weizsäcker beim Staatsakt zum "Tag der deutschen Einheit"". bundespraesident.de. Bundespräsidialamt. Retrieved 11 April 2015. ↑ Borders Will Stay, Bonn's President Says in Poland Los Angeles Times , 3 May 1990. ↑ Tyler Marshall (18 October 1992), Germans Lay Beloved Statesman Brandt to Rest Los Angeles Times . ↑ Jochen Thies (14 January 1993), A New German Seriousness on the Asylum Problem International Herald Tribune . ↑ Mary Williams Walsh (23 May 1994), German Electoral College to Pick New President Los Angeles Times . ↑ Germans Applaud "Schindler's List" International Herald Tribune , 2 March 1994. ↑ Rudolph 2010, p. 261. ↑ Richard von Weizsäcker. Reden und Interviews (vol. 7), 1. Juli 1990 – 30. Juni 1991. Bonn: Presse- und Informationsamt der Bundesregierung. 1992. pp. 391–397. 1 2 Michael Farr (21 April 1993), Economic Slide Rekindles Debate on Capitals International Herald Tribune . ↑ Rudolph 2010, p. 256. 1 2 Rudolph 2010, p. 257. ↑ Augstein, Rudolf (29 June 1992). "Weizsäcker und sein Traditionsbruch". spiegel.de (in German). Der Spiegel. Retrieved 11 April 2015. ↑ Weizsaecker Urges Openness to Truth of the Past : W. German President Makes Rare Israel Visit Los Angeles Times , 9 October 1985. ↑ Bonn Official in Britain Los Angeles Times , 2 July 1986. ↑ Grothe, Solveig (22 November 2010). "Politiker-Entgleisungen". spiegel.de. Spiegel online. Retrieved 10 May 2015. 1 2 "Eine Kooperation auf neuem Niveau". Der Spiegel (28/1987). 6 July 1987. Retrieved 10 May 2015. ↑ Weizsäcker 1997, p. 343. Translated by User:Zwerg Nase. ↑ Weizsäcker 1997, pp. 343–344. ↑ Weizsäcker 1997, p. 346. ↑ "Violations Von Weizsaecker Starts State Visit to Moscow : End Bloc Thinking, Bonn President Says". Los Angeles Times. Reuters. 7 July 1987. Retrieved 11 May 2015. ↑ Weizsäcker 1997, pp. 349–350. ↑ Sarah Means Lohmann (25 December 2003), In Berlin, a Showcase of American Talent and Thought Marks an Anniversary New York Times . ↑ Advisory Council Transparency International. ↑ Kinkel, Weizsäcker call for release of Nigeria’s Obasanjo – An international campaign led by TI is to increase the pressure on Nigeria’s rulers Transparency International, press release of 29 September 1996. ↑ Abschiedsfeier für Alt-Bundespräsident von Weizsäcker Hamburger Abendblatt , 7 November 2014..
↑ Vat, Dan van der. "Richard von Weizsäcker obituary". guardian.co.uk. The Guardian. Retrieved 11 April 2015. 1 2 Conrad, Naomi. "Berlin pays last respects to former president". dw.de. Deutsche Welle. Retrieved 11 April 2015. ↑ "Die Gäste der Trauerfeier – Abschied von Richard von Weizsäcker". handelsblatt.com (in German). Handelsblatt. Retrieved 11 April 2015. ↑ Ohmann, Oliver. "Berliner pilgern zum Grab von Richard von Weizsäcker". bild.de (in German). Bild. Retrieved 11 April 2015. ↑ Rudolph 2010, p. 131. ↑ "Näher den Grünen als Kohl". Der Spiegel (28/1987): 22–23. 6 July 1987. Retrieved 10 May 2015. 1 2 Rudolph 2010, p. 258. ↑ Rudolph 2010, p. 259. 1 2 Schmidt-Klingenberg, Michael (22 September 1997). "Die Zierde der Partei". spiegel.de (in German). Der Spiegel. Retrieved 11 April 2015. ↑ Spörl, Gerhard (31 January 2015). "Erinnerungen an Richard von Weizsäcker: Er hat uns befreit" (in German). Der Spiegel. Retrieved 8 September 2015. ↑ Weizsäcker 1997, p. 288. Translated by User:Zwerg Nase. ↑ Rudolph 2010, p. 269. ↑ Weizsäcker 1997, p. 288. ↑ Rudolph 2010, pp. 270–271. ↑ "Von Deutschland aus / Richard von Weizsäcker" (in German). Deutsche Nationalbibliothek. Retrieved 8 September 2015. ↑ "Von Deutschland nach Europa : die bewegende Kraft der Geschichte / Richard von Weizsäcker" (in German). Deutsche Nationalbibliothek. Retrieved 8 September 2015. ↑ "Vier Zeiten : Erinnerungen / Richard von Weizsäcker" (in German). Deutsche Nationalbibliothek. Retrieved 8 September 2015. ↑ "From Weimar to the Wall : my life in German politics / Richard von Weizsäcker. Transl. from the German by Ruth Hein" (in German). Deutsche Nationalbibliothek. Retrieved 8 September 2015. ↑ Fromme, Friedrich Karl (29 May 1998). "Ein Mann der indirekten Sprache" (in German). Frankfurter Allgemeine Zeitung. Retrieved 8 September 2015. ↑ Gauland, Alexander (16 September 2009). "Memoiren – Richard von Weizsäcker eckt nicht an" (in German). Die Welt. Retrieved 8 September 2015. ↑ Verzeichnis der Mitglieder der Balley Brandenburg des Ritterlichen Ordens St. Johannis vom Spital zu Jerusalem; Berlin: Johanniterorden, 2011; page 18. ↑ "Landmarks – 1991". Indian Institute of Technology, Madras . Retrieved 13 April 2015. ↑ Borrud, Gabriel. "'The greatest German friend Poland has ever had'". dw.de. Deutsche Welle. Retrieved 1 February 2015. 1 2 Reuters. "Merkel, Gauck laud Richard von Weizsäcker". dw.de. Deutsche Welle. Retrieved 1 February 2015. ↑ "Royal Decree 389/1986". boe.es (in Spanish). Spanish Official Journal. Retrieved 18 October 2017. ↑ "Muere Richard von Weizsäcker, primer presidente de la Alemania reunificada". abc.es (in Spanish). 31 January 2015. Retrieved 3 May 2015. ↑ "Inkomend staatsbezoek" (in Dutch). Het Koninklijk Huis. Archived from the original on 10 September 2015. Retrieved 3 May 2015. ↑ "Hedersdoktor vid fakulteten avliden" (in Swedish). Uppsala Universitet. 31 January 2015. Archived from the original on 5 March 2016. Retrieved 3 May 2015. ↑ "Harnack Medal". mpg.de. Max-Planck-Gesellschaft. Retrieved 3 May 2015. ↑ "Richard Freiherr von Weizsäcker". parlament-berlin.de. Abgeordnetenhaus Berlin. Archived from the original on 25 November 2016. Retrieved 25 November 2016. ↑ "Literaturpreis Gewinner". literaturpreisgewinner.de (in German). Retrieved 3 May 2015. ↑ "Ordensträger auf Empfang" (in German). Tagesspiegel. 28 June 2012. Retrieved 3 May 2015. ↑ "Past Laureates". unhcr.org. United Nations High Commissioner for Refugees. Retrieved 3 May 2015. ↑ "Richard von Weizsäcker". gdansk.pl (in Polish). 11 July 2008. Retrieved 3 May 2015. ↑ "Dr. Richard von Weizsäcker übernimmt Mercatorprofessur" (in German). Universität Duisburg-Essen. Retrieved 3 May 2015. ↑ "List". President of the Czech Republic. Retrieved 3 May 2015. ↑ "Richard von Weizsäcker Receives 2009 Henry A. Kissinger Prize". The American Academy in Berlin. Archived from the original on 4 March 2016. Retrieved 3 May 2015. ↑ "Verleihung des »Preises für Verständigung und Toleranz« am 17. November 2012" (in German). Jüdisches Museum Berlin. 6 November 2012. Retrieved 3 May 2015. ↑ "Jüdisches Museum Berlin ehrt Richard von Weizsäcker" (in German). Jüdische Allgemeine. 6 November 2012. Retrieved 3 May 2015. ↑ "Zum Tode von Richard von Weizsäcker, Altbundespräsident und ehemaliger Schirmherr von Aktion Deutschland Hilft" (in German). Aktion Deutschland Hilft. 31 January 2015. Retrieved 3 May 2015. ↑ "Club of Budapest". Club of Budapest. Retrieved 3 May 2015. ↑ "Honorary Members". Club of Rome. Archived from the original on 11 November 2013. Retrieved 3 May 2015. ↑ "Kuratorium" (in German). Freya von Moltke Stiftung. Archived from the original on 10 September 2015. Retrieved 3 May 2015. ↑ "Richard von Weizsäcker Kuratoriumsmitglied des Hannah Arendt-Zentrums" (in German). Universität Oldenburg. 13 December 2002. Retrieved 3 May 2015. ↑ "Prof. Dr. Dr. h.c. Gesine Schwan zur Präsidentin der HUMBOLDT-VIADRINA School of Governance gewählt" (PDF) (in German). Gesine Schwan. 15 June 2010. Retrieved 3 May 2015. ↑ "International Commission on the Balkans". Centre for Liberal Studies, Sofia. Retrieved 3 May 2015. ↑ "Human Rights Award > Jury > 1995–2000". nuernberg.de. Human Rights Office, City of Nuremberg. Retrieved 3 May 2015. ↑ "The Boards & Advisory Council Philharmonic Orchestra of Europe e.V." Philharmonic Orchestra of Europe. Retrieved 3 May 2015. ↑ "Board of Directors". Political Science Quarterly. Retrieved 3 May 2015. ↑ "Kuratorium" (in German). Theodor Heuss Stiftung. Retrieved 3 May 2015. ↑ "Beirat" (in German). Viktor-von-Weizsäcker-Gesellschaft. Retrieved 3 May 2015. Richard von Weizsäcker. Reden und Interviews (vol. 1), 1. Juli 1984 – 30. Juni 1985. Bonn: Presse- und Informationsamt der Bundesregierung. 1986. Richard von Weizsäcker. Reden und Interviews (vol. 5), 1. Juli 1988 – 30. Juni 1989. Bonn: Presse- und Informationsamt der Bundesregierung. 1989. Richard von Weizsäcker. Reden und Interviews (vol. 7), 1. Juli 1990 – 30. Juni 1991. Bonn: Presse- und Informationsamt der Bundesregierung. 1992. Hofmann, Gunter (2010). Richard von Weizsäcker. Ein deutsches Leben (in German). Munich: C.H. Beck. ISBN 978-3-406-59809-8. Rudolph, Hermann (2010). Richard von Weizsäcker. Eine Biographie (in German). Berlin: Rowohlt. ISBN 978-3-87134-667-5. Weizsäcker, Richard von (1997). Vier Zeiten. Erinnerungen (in German). Berlin: Siedler Verlag. ISBN 3-88680-556-5. 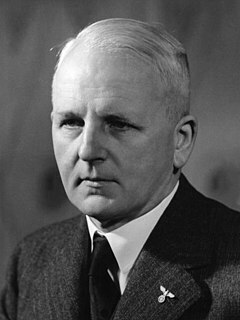 Wikimedia Commons has media related to Richard von Weizsäcker .